Your support in any amount will echo throughout our shared community. To donate online, please visit our current fundraising campaign here. 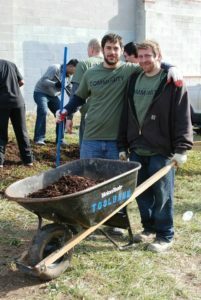 When you support the ToolBank, your gift is channeled into a range of community-based initiatives across the region. From schools to animal shelters to organizations combating food and housing insecurity, our partners provide essential services across a spectrum of community needs.